Ex+ condition. Issue intact & complete. New, uncirculated copy. Note: Only a few copies of this item are available. 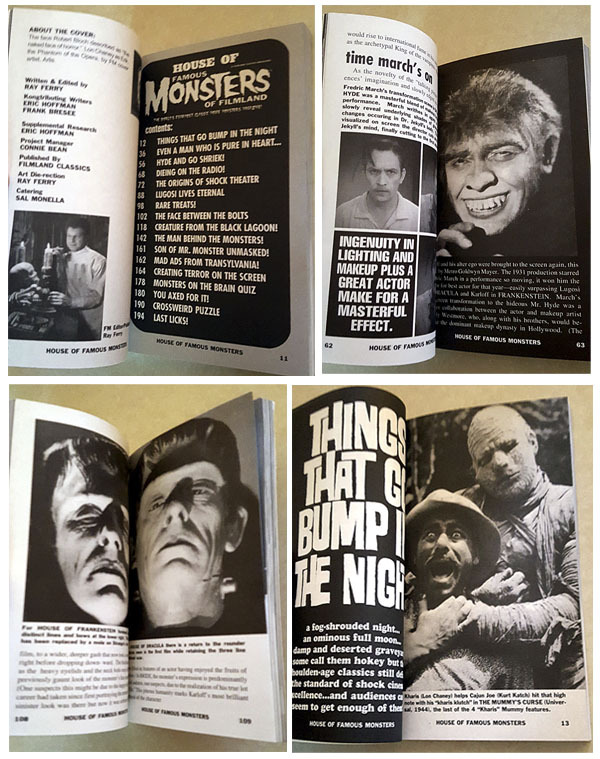 This paperback pocketbook was produced by Ray in 2006 to continue the original 1960s Famous Monsters Pocketbook series. It has the same layout style as the first 3 Warren-era FMOF pocketbooks. Glossy, coated embossed cover. Even the paper is a vintage white "pulp" stock similar to the 1960s editions. Excellent photo reproductions. The 3 original 1960s FMOF paperbacks are highly valued and this 4th edition is the last, authentic, authorized FMOF paperback pocketbook ever produced. No true FMOF collection is complete without this volume. A great introduction to the horror classics for kids! Typical dealer price for a pre-owned copy (when you can find one) is $55.00 - $100.00. This is a brand new, unread, uncirculated copy. Grab it while you can!